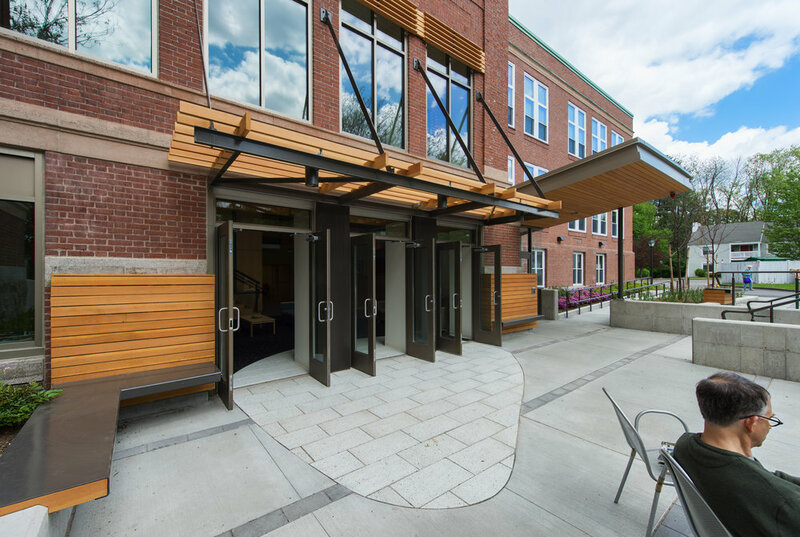 This two level plaza serves as the entrance to a newly renovated housing facility. The exterior was designed to be an extension of the interior, and to strengthen the connection between the two. A pergola and terrace continue inside from the outside and enhance the feeling of one continued space. Ample seating among lush perennials and shrubs provide the residents new social spaces, while accessiblity upgrades provide the building universal access and were a large part of the design process.